Yellow, the perceived colour of sunlight, is associated with confidence, optimism, happiness and friendliness. In colour psychology, yellow is an expression of enlightenment, creativity and extroversion. In some eastern cultures, yellow symbolises joy, wisdom and power. Because the human eye processes yellow first, it makes it the perfect colour for road signs and it is almost always the colour that represents caution. Within the home, Michelle recommends using yellow as an accent colour, to add a “super sweep of brightness and life to any space”, rather than as the dominant tone. Because of their similarity to the colour of corn, yellow flowers in Mayan culture were a symbol of abundance. In ancient Greece and Egypt yellow flowers were highly valued because of their resemblance to the sun. 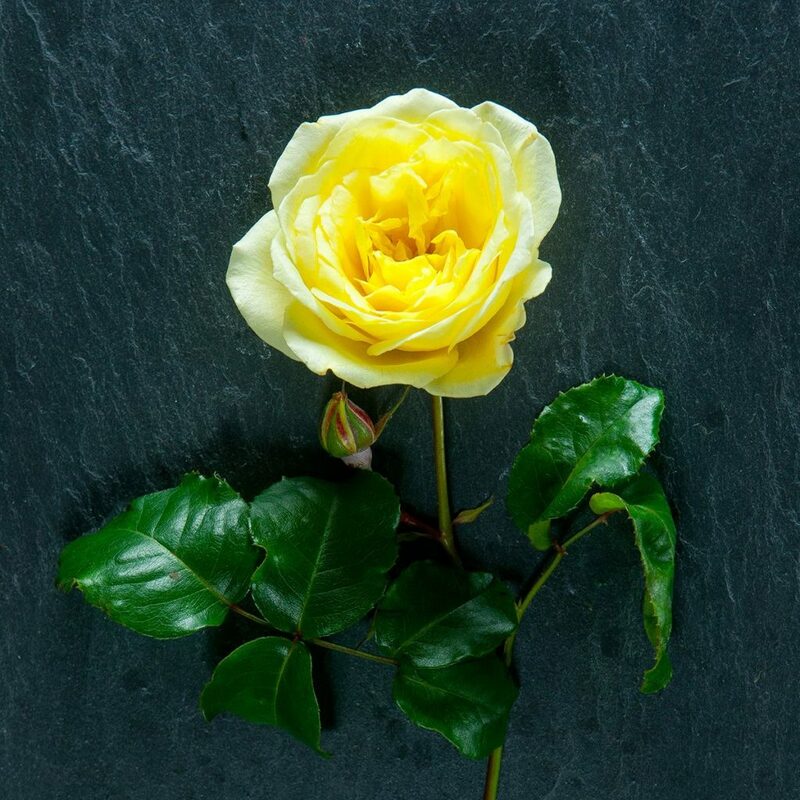 Today yellow roses are regarded as a symbol of friendship and joy. As yellow is still associated with the sun, yellow flowers are the perfect choice for cheering someone up. 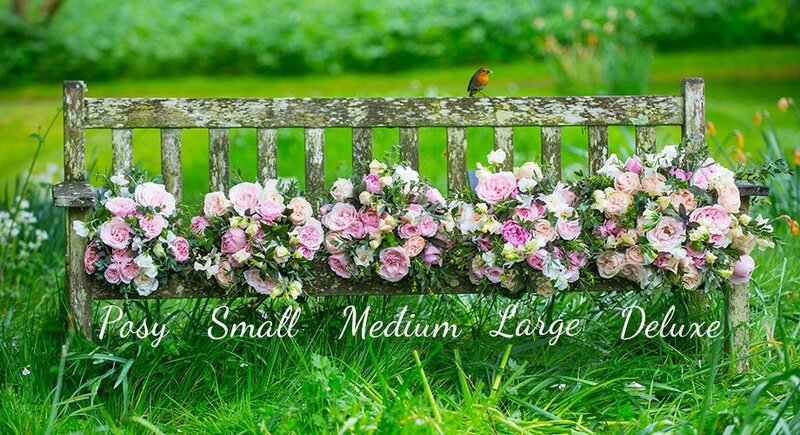 It’s easy to add some sunshine to your garden or flower arrangement with a touch of yellow. Some of our favourite yellow flowers from our English flower farm include star-shaped spring narcissi, beautifully scented Irish Hope roses, sunflowers, dill flowers, heliopsis helianthoides (false sunflowers), hypericum, alchemilla and inula daisies. Yellow roses make a great token of appreciation without the romantic subtext of other colours. Yellow flowers are the perfect choice for a special birthday, to send congratulations, to welcome a new baby or to say get well soon or thank you. 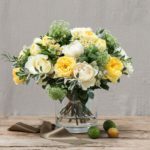 We’ve just launched a new Yellow & Ivory Fairtrade Friendship Bouquet that features our favourite Fairtrade scented yellow and ivory roses along with seasonal foliage and flowers.